JUST REDUCED!! This home is priced to sell. Don't miss this beautiful one of a kind home nestled in a private park like setting. 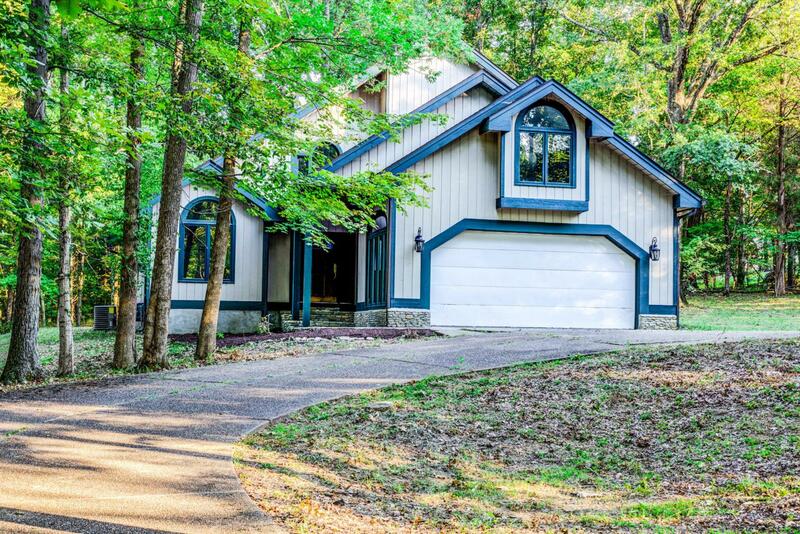 This exclusive wooded lot sits on over 2.5 acres. You will love the feeling of relaxation and the serenity that nature provides while sitting on the large rear deck watching deer passing through. This home has been nicely renovated while still maintaining its unique original design. The new distressed wood flooring with varied width planks runs throughout the first floor. The new kitchen has granite countertops, classic white cabinetry, subway tile backsplash, stainless steel appliances and a large island ideal for food prep and offers additional storage. The open floor plan is perfect for entertaining. The unique master suite has 3 rooms and a full bath.The vaulted ceiling great room offers nine large windows which provide a spectacular view of the abundance of trees behind the home. The dark trim offers a richness and goes well with the beautiful wood floors. The home has been freshly painted inside and out. Both bathrooms have been redone. The master bath is a spa like environment with new tile flooring, a Jacuzzi tub, dual vanity and a walk in shower. New carpet has been installed in the bedrooms. New high end oil rubbed bronze light fixtures throughout. New gutters and downspouts. The large circle driveway and parking pad makes it easy to get in and out and provides lots of extra parking for guests. The home is a rare find in the Louisville area. It offers modern amenities and the unique beauty and peaceful experience of a vacation home hidden in the woods.